Look at it this way. There are lots of business and finance blogs, but how many provide real-time forecasts, along with updates on how prior predictions performed? Here on BusinessForecastBlog – we roll out forecasts of the highs and lows of a growing list of securities for the coming week on Monday morning, along with an update on past performance. It’s a good discipline, if you think you have discovered a pattern which captures some part of the variation in future values of a variable. Do the backtesting, but also predict in real-time. It’s very unforgiving. Here is today’s forecast, along with a recap for last week (click to enlarge). There is an inevitable tendency to narrate these in “Nightly Business Report” fashion. So the highs are going higher this week, and so are the lows, except perhaps for a slight drop in Microsoft’s low – almost within the margin of statistical noise. 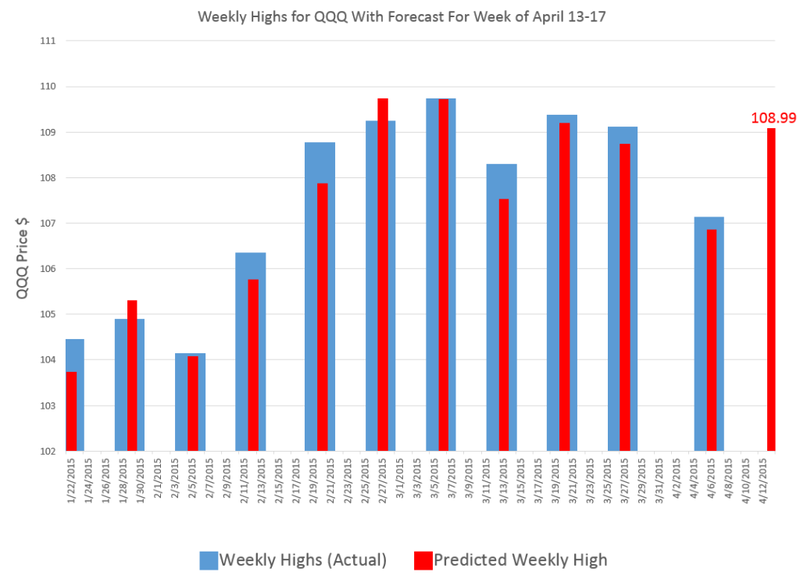 Not only that, but predicted increases in the high for QQQ are fairly substantial. 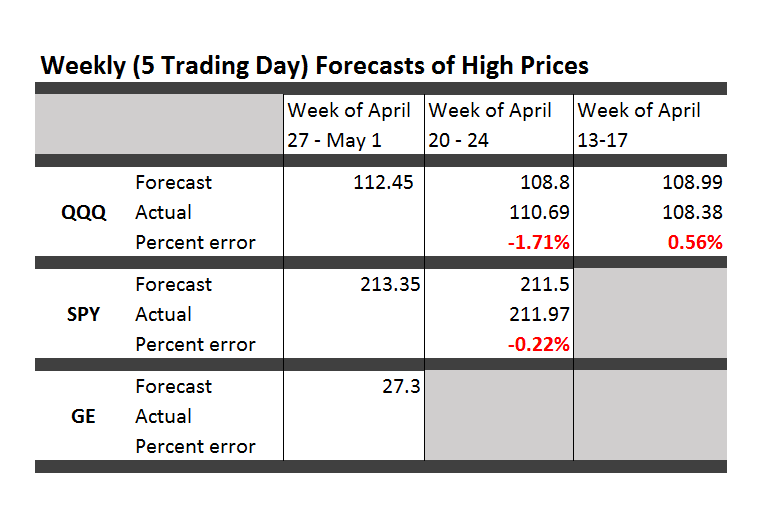 Last week’s forecasts were solid, in terms of forecast error, except Microsoft’s high came in above what was forecast. Still, -2.6 percent error is within the range of variation in the backtests for this security. Recall, too, that in the previous week, the forecast error for the high of MSFT was only .04 percent, almost spot on. Since the market moved sideways for many securities, No Change forecasts were a strong competitor to the NPV (new proximity variable) forecasts. In fact, there was an 50:50 split. In half the four cases, the NPV forecasts performed better; in the other half, No Change forecasts had lower errors. Direction of change predictions also came in about 50:50. They were correct for QQQ and SPY, and wrong for the two stocks. This tool – forecasts based on the NPV algorithms – provides longer terms looks into the future, probably effectively up to one month ahead. So in two weeks, I’m going to add that forecast to the mix. I think it may be important, incidentally, to conform to the standard practice of taking stock at the beginning of the month, rather than, say, simply going out four weeks from today. To preview the power of this monthly NPV model, here are the backtests for the crisis months before and during the 2008 financial crisis. This is a remarkable performance, really. Once the crash really gets underway in late Summer-Fall 2008, the NPV forecast drops in a straight-line descent, as do the actual monthly highs. There are some turning points in common, too, between the two series. And generally, even at the start of the process, the monthly NPV model provides good guidance as to the direction and magnitude of changes. Over the next two weeks, I’m collecting high frequency data to see whether I can improve these forecasts with supplemental information – such as interest rates spreads and other variables available on a weekly or monthly basis. In closing, let me plug Barry Eichengreen’s article in Syndicate An Economics to Fit the Facts. While older members of the economics establishment continue to debate the merits of competing analytical frameworks, younger economists are bringing to bear important new evidence about how the economy operates. It’s all about dealing with the wealth of data that is being collected everywhere now, and much less about theoretical disputes involving formal models. Finally, it’s always necessary to insert a disclaimer, whenever one provides real-time, actionable forecasts. This stuff is for informational and scientific purposes only. It is not intended to provide recommendations for specific stock trading, and what you do on that score is strictly your own business and responsibility. Mountain climbing pic from Blink. The residuals of predictive models are central to their statistical evaluation – with implications for confidence intervals of forecasts. Of course, another name for the residuals of a predictive model is their errors. Today, I want to present some information on the errors for the forecast models that underpin the Monday morning forecasts in this blog. The results are both reassuring and challenging. The good news is that the best fit distributions support confidence intervals, and, in some cases, can be viewed as transformations of normal variates. This is by no means given, as monstrous forms such as the Cauchy distribution sometimes present themselves in financial modeling as a best candidate fit. The challenge is that the skew patterns of the forecasts of the high and low prices are weirdly symmetric. It looks to me as if traders tend to pile on when the price signals are positive for the high, or flee the sinking ship when the price history indicates the low is going lower. Here is the error distribution of percent errors for backtests of the five day forecast of the QQQ high, based on an out-of-sample study from 2004 to the present, a total of 573 five consecutive trading day periods. Here is the error distribution of percent errors for backtests of the five day forecast of the QQQ low. In the first chart for forecasts of high prices, errors are concentrated in the positive side of the percent error or horizontal axis. In the second graph, errors from forecasts of low prices are concentrated on the negative side of the horizontal axis. In terms of statistics-speak, the first chart is skewed to the left, having a long tail of values to the left, while the second chart is skewed to the right. What does this mean? 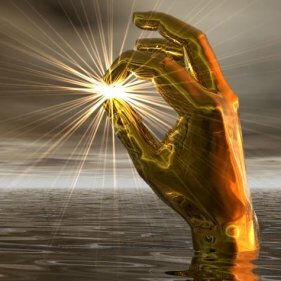 Well, one interpretation is that traders are overshooting the price signals indicating a positive change in the high price or a lower low price. So the distribution of errors for forecasts of the high has an average which is slightly greater than zero, and the average for errors for forecasts of the low is slightly negative. And you can see the bulk of observations being concentrated, on the one hand, to the right of zero and, on the other, to the left of zero. I’d like to find some way to fill out this interpretation, since it supports the idea that forecasts in this context are self-reinforcing, rather than self-nihilating. I have more evidence consistent with this interpretation. So, if traders dive in when prices point to a high going higher, predictions of the high should be more reliable vis a vis direction of change with bigger predicted increases in the high. That’s also verifiable with backtests. I use MathWave’s EasyFit. It’s user-friendly, and ranks best fit distributions based on three standard metrics of goodness of fit – the Chi-Squared, Komogorov-Smirnov, and Anderson-Darling statistics. There is a trial download of the software, if you are interested. 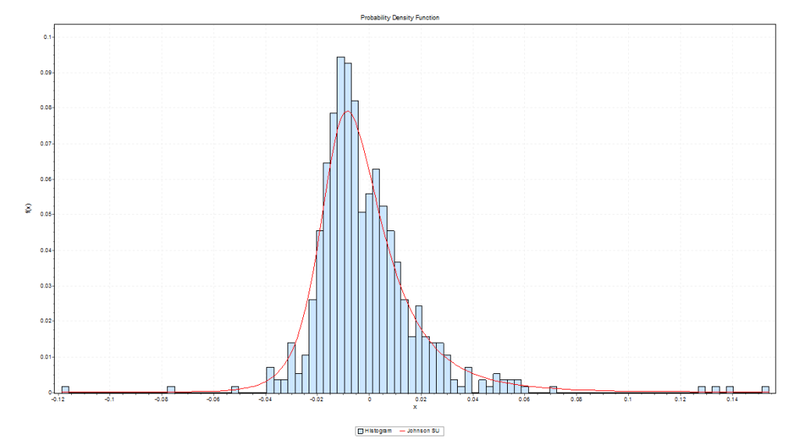 The Johnson SU distribution ranks first for the error distribution for the high forecasts, in terms of EasyFit’s measures of goodness of fit. The Johnson SU distribution also ranks first for Chi-Squared and the Anderson-Darling statistics for the errors of forecasts of the low. This is an interesting distribution which can be viewed as a transformation of normal variates and which has applications, apparently, in finance (See http://www.ntrand.com/johnson-su-distribution/). It is something I have encountered repeatedly in analyzing errors of proximity variable models. I am beginning to think it provides the best answer in determining confidence intervals of the forecasts. 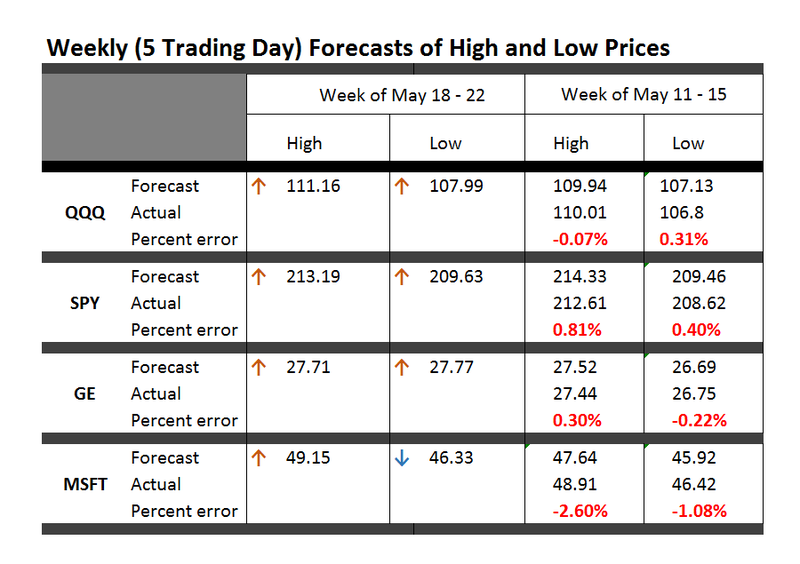 Here are forecasts of high prices for key securities for this week, May 4-8, along with updates to check the accuracy of previous forecasts. So far, there is a new security each week. This week it is Microsoft (MSFT). Click on the Table to enlarge. These forecasts from the new proximity variable (NPV) algorithms compete with the “no change” forecast – supposedly the optimal predictions for a random walk. The NPV forecasts in the Table are more accurate than no change forecasts at 3:2 odds. That is, if you take into account the highs of the previous weeks for each security – actual high numbers not shown in the Table – the NPV forecasts are more accurate 4 out of 6 times. This performance corresponds roughly with the improvements of the NPV approach over the no change forecasts in backtests back to 2003. The advantages of the NPV approach extend beyond raw accuracy, measured here in simple percent terms, since the “no change” forecast is uninformative about the direction of change. The NPV forecasts, on the other hand, generally get the direction of change right. In the Table above, again considering data from weeks preceding those shown, the direction of change of the high forecasts is spot on every time. Backtests suggest the NPV algorithm will correctly predict the direction of change of the high price about 75 percent of the time for this five day interval. It will be interesting to watch QQQ in this batch of forecasts. This ETF is forecast to decline week-over-week in terms of the high price. 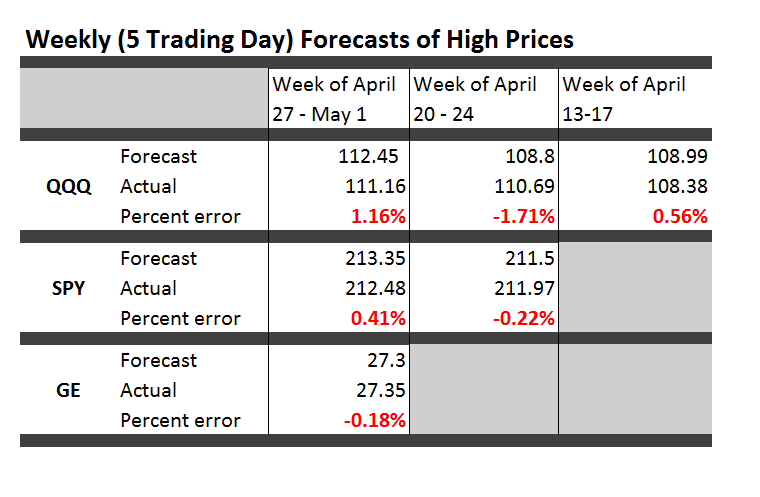 Next week I plan to expand the forecast table to include forecasts of the low prices. There is a lot of information here. Much of the finance literature focuses on the rates of returns based on closing prices, or adjusted closing prices. Perhaps analysts figure that attempting to predict “extreme values” is not a promising idea. Nothing could be further from the truth. This week I plan a post showing how to identify turning points in the movement of major indices with the NPV algorithms. The concept is simple. I forecast the high and low over coming periods, like a day, five days, ten trading days and so forth. For these “nested forecast periods” the high for the week ahead must be greater than or equal to the high for tomorrow or shorter periods. This means when the price of the SPY or QQQ heads south, the predictions of the high of these ETF’s sort of freeze at a constant value. The predictions for the low, however, plummet. I’ve appreciated and benefitted from your questions, comments, and suggestions. Keep them coming. Well, US markets have closed for the week, and here is an update on how our forecasts did. Apart from the numbers, almost everything I wrote last Monday about market trends was wrong. Some of the highs were reached Monday, for example, and the market dived after that. The lowest forecast error is for GE, which backtesting suggests is harder to forecast than the SPY and QQQ. I will keep doing this, expanding the securities covered for several weeks. I also hope to get smarter about using this tool. I want to comment on how to use this approach to get forward information about turning points in the market. While the research is on-going, the basic finding is that turning points, which we need to define as changes in the direction of a security or index which are sustained for several trading days or periods, are indicated by a simple tactic. Suppose the QQQ reaches a high and then declines for several days or longer. Then, the forecasts of the high over 1, 2, and several days will tend to freeze at their initial or early values, while forecasts of low price over an expanding series of forecast periods will drop. There will, in other words, be a pronounced divergence between the forecasts of the high and low, when a turning point is in the picture. There are interesting charts from 2008 highlighting these relationships between the high and low forecasts over telescoping forecast horizons. I am fairly involved in some computer programming around this “proximity variable forecasting approach.” However, I am happy to dialogue with readers and interested parties via the Comments section in this blog. If you want to communicate off-line, send your email and what your interest or concern is. And check the forecasts for this coming week, which I will have out Monday morning. Should be an interesting week. Here are some backtests of my new stock market forecasting procedures. Here, for example, is a chart showing the performance of what I call the “proximity variable approach” in predicting the high price of the exchange traded fund SPY over 30 day forward periods (click to enlarge). So let’s be clear what the chart shows. The proximity variable approach- which so far I have been abbreviating as “PVar” – is able to identify the high prices reached by the SPY in the coming 30 trading days with forecast errors mostly under 5 percent. In fact, the MAPE for this approximately ten year period is 3 percent. The percent errors, of course, are charted in red with their metric on the axis to the right. The blue line traces out the predictions, and the grey line shows the actual highs by 30 trading day period. These results far surpass what can be produced by benchmark models, such as the workhorse No Change model, or autoregressive models. Why not just do this month-by-month? Well, months have varying numbers of trading days, and I have found I can boost accuracy by stabilizing the number of trading days considered in the algorithm. Realize, of course, that a prediction of the high price that a stock or ETF will reach in a coming period does not tell you when the high will be reached – so it does not immediately translate to trading profits. 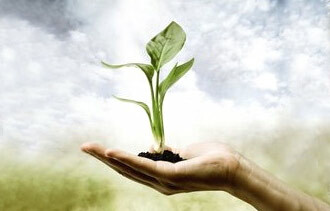 The high in question could come with the opening price of the period, for example, leaving you out of the money, if you hear there is this big positive prediction of growth and then jump in the market. However, I do think that market participants react to anticipated increases or decreases in the high or low of a security. You might explain these results as follows. Traders react to fairly simple metrics predicting the high price which will be reached in the next period – and let this concept be extensible from a day to a month in this discussion. In so reacting, these traders tend to make such predictive models self-fulfilling. 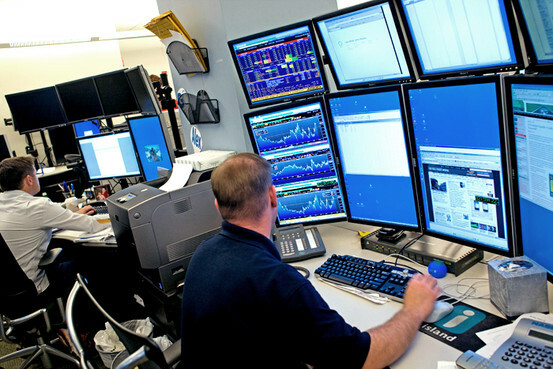 Therefore, daily prices – the opening, the high, the low, and the closing prices – encode a lot more information about trader responses than is commonly given in the literature on stock market forecasting. Of course, increasingly, scholars and experts are chipping away at the “efficient market hypothesis” and showing various ways in which stock market prices are predictable, or embody an element of predictability. However, combing Google Scholar and other sources, it seems almost no one has taken the path to modeling stock market prices I am developing here. The focus in the literature is on closing prices and daily returns, for example, rather than high and low prices. I can envision a whole research program organized around this proximity variable approach, and am drawn to taking this on, reporting various results on this blog. If any readers would like to join with me in this endeavor, or if you know of resources which would be available to support such a project – feel free to contact me via the Comments and indicate, if you wish, whether you want your communication to be private. The thing I like about forecasting is that it is operational, rather than merely theoretical. Of course, you are always wrong, but the issue is “how wrong?” How close do the forecasts come to the actuals? I have been toiling away developing methods to forecast stock market prices. Through an accident of fortune, I have come on an approach which predicts stock prices more accurately than thought possible. 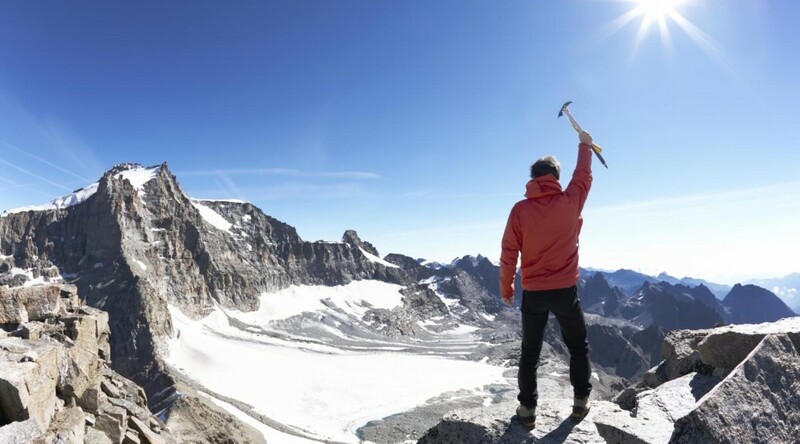 After spending hundreds of hours over several months, I am ready to move beyond “backtesting” to provide forward-looking forecasts of key stocks, stock indexes, and exchange traded funds. For starters, I’ve been looking at QQQ, the PowerShares QQQ Trust, Series 1. PowerShares QQQ™, formerly known as “QQQ” or the “NASDAQ- 100 Index Tracking Stock®”, is an exchange-traded fund based on the Nasdaq-100 Index®. The Fund will, under most circumstances, consist of all of stocks in the Index. The Index includes 100 of the largest domestic and international nonfinancial companies listed on the Nasdaq Stock Market based on market capitalization. The Fund and the Index are rebalanced quarterly and reconstituted annually. This means, of course, that QQQ has been tracking some of the most dynamic elements of the US economy, since its inception in 1999. In any case, here is my forecast, along with tracking information on the performance of my model since late January of this year. The time of this blog post is the morning of April 13, 2015. My algorithms indicate that the high for QQQ this week will be around $109 or, more precisely, $108.99. 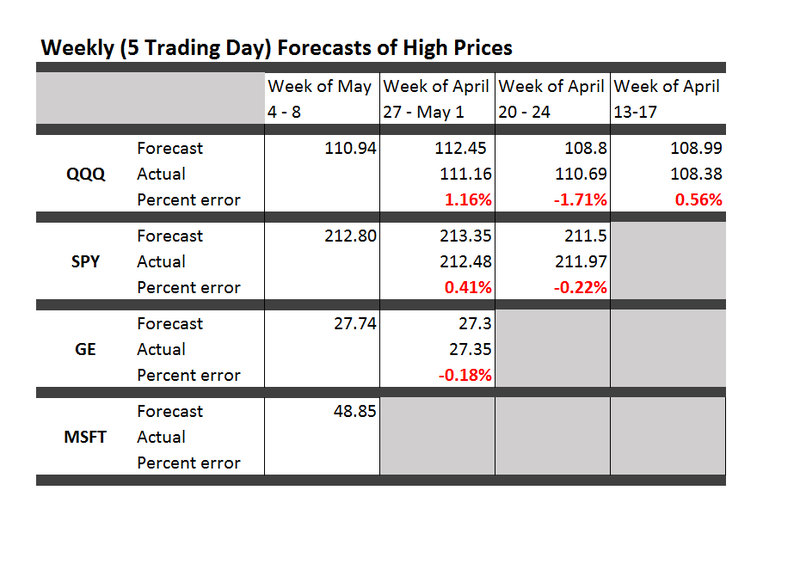 So this is, in essence, a five day forecast, since this high price can occur in any of the trading days of this week. The chart above shows backtests for the algorithm for ten weeks. The forecast errors are all less than 0.65% over this history with a mean absolute percent error (MAPE) of 0.34%. So that’s what I have today, and count on succeeding installments looking back and forward at the beginning of the next several weeks (Monday), insofar as my travel schedule allows this. Also, my initial comments on this post appear to offer a dig against theory, but that would be unfair, really, since “theory” – at least the theory of new forecasting techniques and procedures – has been very important in my developing these algorithms. 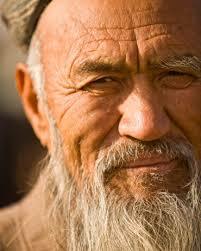 I have looked at residuals more or less as a gold miner examines the chat in his pan. I have considered issues related to the underlying distribution of stock prices and stock returns – NOTE TO THE UNINITIATED – STOCK PRICES ARE NOT NORMALLY DISTRIBUTED. There is indeed almost nothing about stocks or stock returns which is related to the normal probability distribution, and I think this has been a huge failing of conventional finance, the Black Scholes Theorem, and the like. So theory is important. But you can’t stop there. This should be interesting. Stay tuned. I will add other securities in coming weeks, and provide updates of QQQ forecasts. Readers interested in the underlying methods can track back on previous blog posts (for example, Pvar Models for Forecasting Stock Prices or Time-Varying Coefficients and the Risk Environment for Investing). Once again, Christophe Barraud, a French economist based in Paris, is ranked as the “best forecaster of the US economy” by Bloomberg (see here). This is quite an accomplishment, considering that it is based on forecasts for 14 key monthly indicators including CPI, Durable Goods Orders, Existing Home Sales, Housing Starts, IP, ISM Manufacturing, ISM Nonmanufacturing, New Home Sales, Nonfarm Payrolls, Personal Income, Personal Spending, Retail Sales, Unemployment and GDP. For this round, Bloomberg considered two years of data ending ended November 2014. Barraud was #1 in the rankings for 2011-2012 also. In case you wanted to take the measure of such talent, here is a recent interview with Barraud conducted by Figaro (in French). The #2 slot in the Bloomberg rankings of best forecasters of the US economy went to Jim O’Sullivan of High Frequency Economics. Here just an excerpt from an interview by subscription with O’Sullivan – again to take the measure of the man. While I have been absorbed in analyzing a statistical/econometric problem, a lot has transpired – in Switzerland, in Greece and the Ukraine, and in various global regions. While I am optimistic in outlook presently, I suspect 2015 may prove to be a year of surprises. Currently, I am privileged to have access to databases relating to health insurance and oil and gas developments. But the richest source of Big Data available to researchers is probably financial, and I can’t resist exploring time series data on the S&P 500 and related exchange traded funds. This is a tricky field. 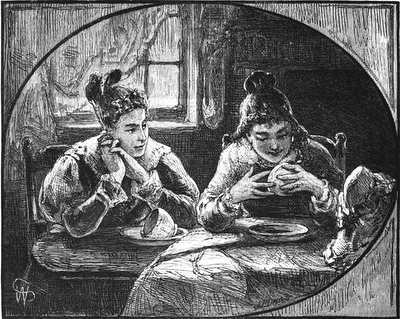 It is not only crowded with “quants,” but there are, in theory, pitfalls of “rational expectations.” There are strong and weak versions, but, essentially, if “rational expectations” operate, there should be no public information which can give anyone a predictive advantage, since otherwise it would already have been exploited. Keep that in mind as I relate some remarkable discoveries – so far as I can determine nowhere else documented – on the predictability of the daily high and low values of the SPY, the exchange traded fund (ETF) linked with the S&P 500. 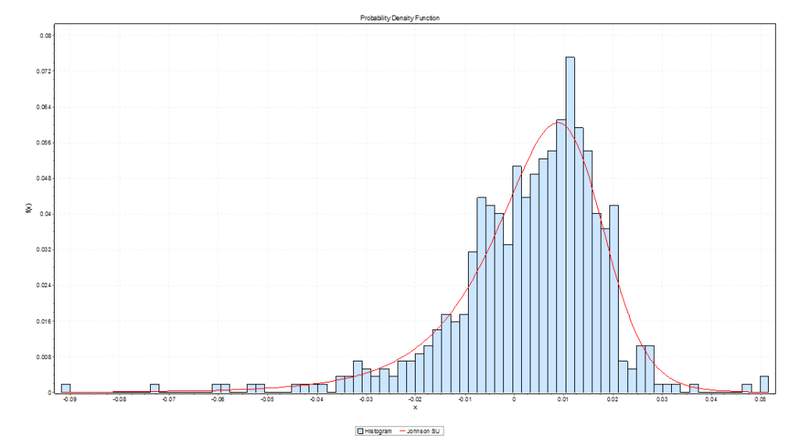 So the above chart shows out-of-sample predictions for several trading days in 2009 that can be achieved with a linear regression based on daily values available, for example, on Yahoo Finance. 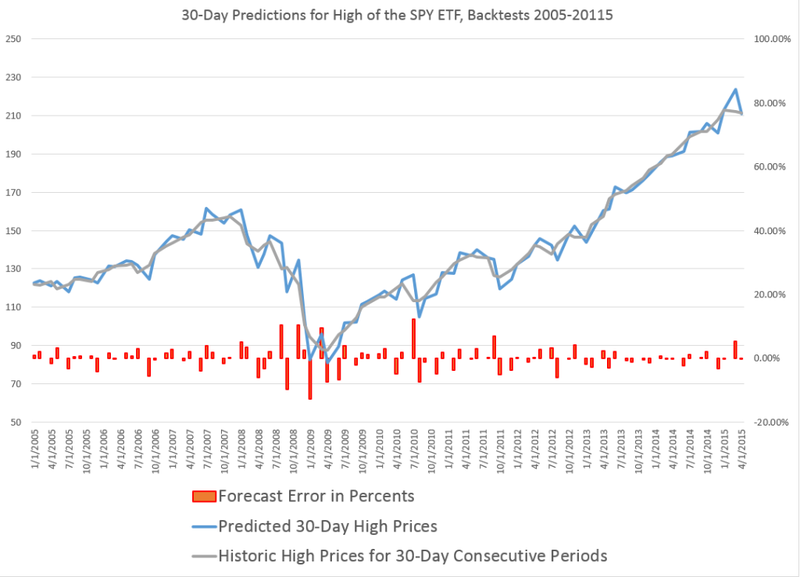 Based on the opening value of the SPY, this regression predicts the percent change in the high for the SPY that will be achieved during the trading day – the percent change calculated with the high reached that day, compared with the previous day. I find it remarkable that there is any predictability at all, since the daily high is an extreme value, highly sensitive to the volatility that day, and so forth. And it may not be necessary to predict the exact percentage change of the high of SPY from day to day to gain a trading advantage. Accurate predictions of the direction of change should be useful. In this respect, the analysis is especially powerful. For the particular dates in the chart shown above, for example, the predictive model correctly identifies the direction of change for every trading day but one – February 23, 2009. I develop an analysis for the period 8/4/2005 to 1/4/2015, developing adaptive regressions to predict, out of sample, the high following the opening of each trading day. I develop hundreds of regressions in this analysis with some indication that the underlying coefficients vary over time. The explanatory variables are based on the spread between the opening price for the current period and the high or low of the previous period. The coefficient of determination or R2 is about 0.6 – much higher than is typical for such regressions with stock or financial time series.This is a powerful relationship. 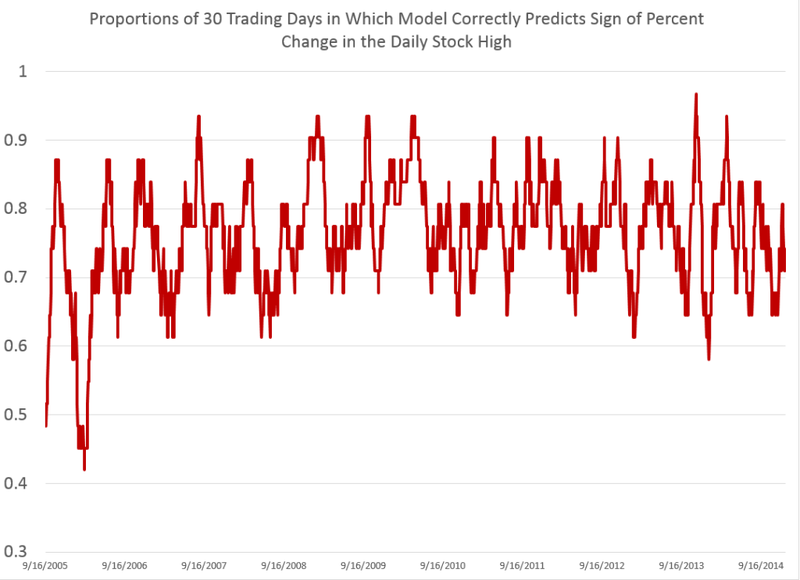 Here is a chart showing rolling 30 trading day averages of how often (1 = 100% of the time) this modeling effort correctly identifies the sign of the change in the high – again on an out-of-sample basis. Note that for some 30 day periods, the “hit rate” in which the correct sign of change is predicted exceeds 0.9, or, in other words, is greater than 90 percent of the time. 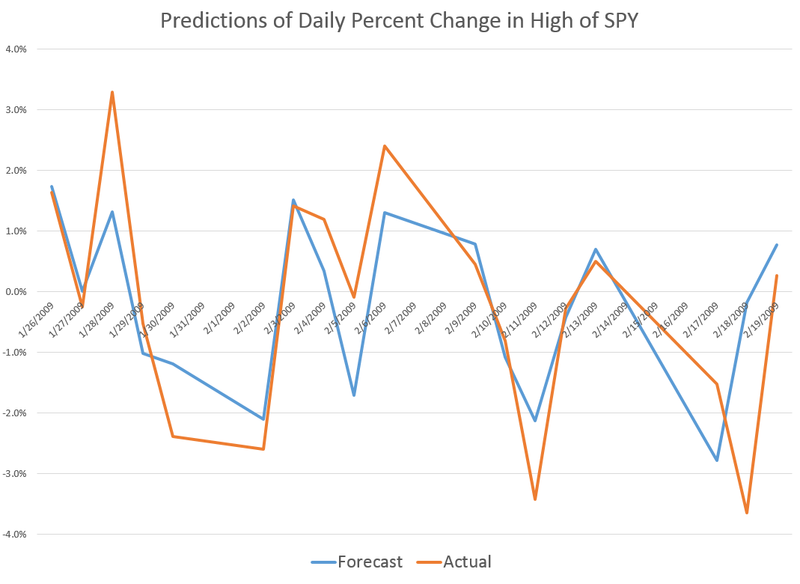 Overall, for the whole period under consideration, which comes right up to the present, the model averages about 76 percent accuracy in identifying the direction of change in the daily high of SPY. 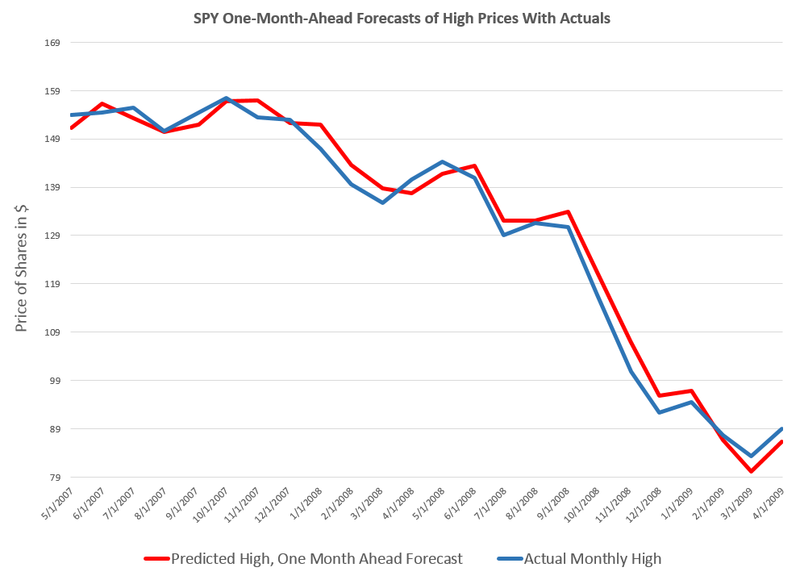 Stay tuned to Business Forecast blog for a similar analysis of predicting the low values of SPY. In closing, though, let me note that this remarkable predictability does not, in itself, support profitable trading, at least with any type of simple or direct approach. If at the opening of the trading day, the model indicates positive change in the level of the high for SPY that day, it would make sense to buy shares of this ETF. Then, you could unload them, presumably at a profit, when the SPY reached the previous day’s high value. The catch, however, is that you cannot be sure this will happen. Given the forecast, it is probable, or at least has a calculable probability. 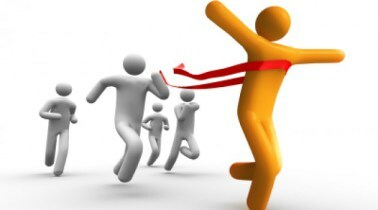 However, it is also possible that the stock will not reach the previous day’s high during the trading day. The forecast may be correct in its sign, but wrong in its magnitude. So then, you are stuck with shares of SPY. If you want to sell that day, not having, for example, any clear idea what will happen the following trading day – in general you will not do very well. In fact, it’s easy to show that this trading strategy – buy when the model indicates growth in the level of the high, sell if you can at the previous high, and otherwise close out your position at the closing price for that trading day – this strategy generally does not do as well as buy-and-hold. This is probably the rational expectations gremlin at work. Anyway, stay tuned for some insights on modeling the low of the SPY daily price. Well, readers here may have noticed, Business Forecast Blog correctly predicted the OPEC decision about reducing oil production at their Thanksgiving Thursday (November 27) meeting in Vienna. VIENNA — Crude prices plunged Thursday after the powerful Organization of Petroleum Exporting Countries said it wouldn’t cut production levels to stem the collapse in oil prices that have fallen 40% since June. 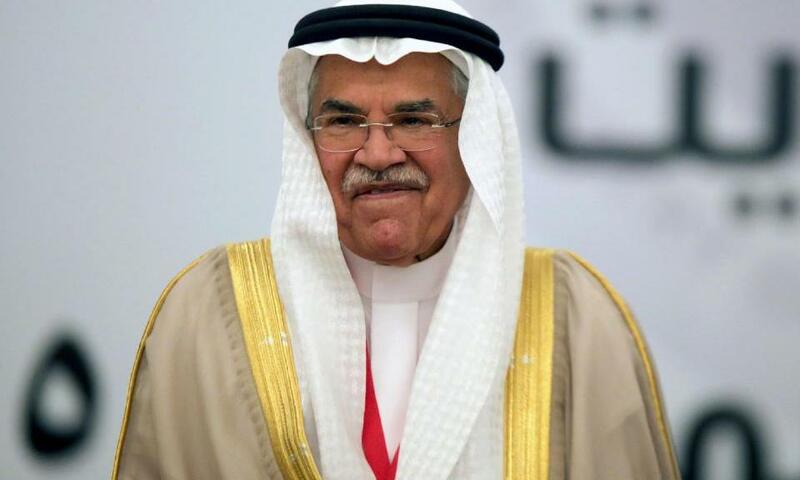 Saudi Arabia’s oil minister Ali Al-Naimi delivered the news as he left a nearly five-hour meeting of the cartel’s 12 oil ministers here. I’m kind of a contrarian here. 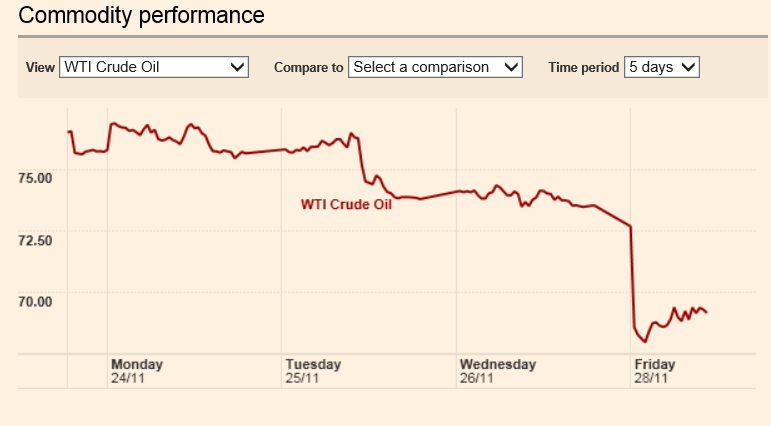 I think the sound and fury about this Vienna meeting on Thanksgiving may signify very little in terms of oil prices – unless global (and especially Chinese) economic growth picks up. As the dominant OPEC producer, Saudi Arabia may have market power, but, otherwise, there is little evidence OPEC functions as a cartel. It’s hard to see, also, that the Saudi’s would unilaterally reduce their output only to see higher oil prices support US frackers continuing to increase their production levels at current rates. The immediate response to the much-anticipated OPEC meeting was a plunge in the spot price of West Texas Intermediate (WTI) to below $70 a barrel. 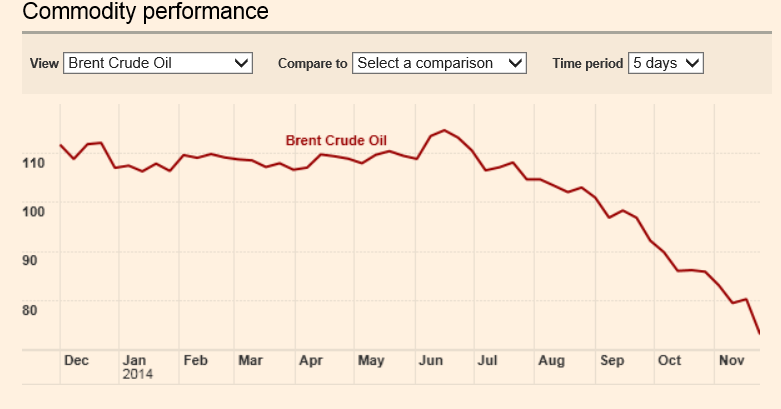 Both charts are courtesy of the Financial Times of London. The Reuters article on the OPEC decision – Saudis block OPEC output cut, sending oil price plunging – is full of talk that letting prices drift lower, perhaps down to $60-65 a barrel, is motivated by a desire to wing higher-cost US producers, and also, maybe, to squeeze Russia and Iran – other players who are out of favor with Saudi Arabia and other Gulf oil states. Advice – get the data, get the facts. Survey Bloomberg and other media by relevant news story and topic, but whenever possible, go to the source. Lead picture of Saudi Oil Minister from Yahoo.